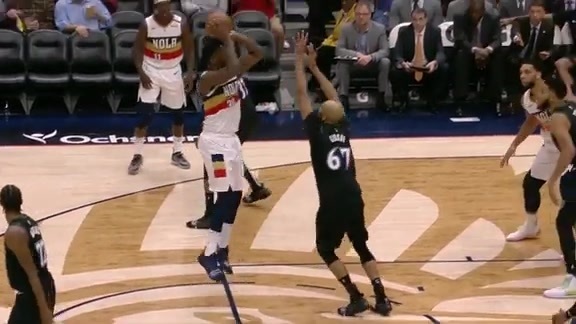 1) New Orleans (13-13) delivered one of its most impressive wins of the season Wednesday, pounding Dallas by a 132-106 margin in the Smoothie King Center. The Pelicans went up by 16 points at halftime and never looked back, improving to 10-3 at home. 2) Julius Randle put up 27 points and 18 rebounds, following up his 37-point outing Monday vs. the Clippers. Randle spoke to the media in the locker room, after dominating vs. his hometown NBA franchise. 3) Check out photos from Pelicans-Mavericks. 4) Next up on the schedule for New Orleans is a Friday home game vs. Memphis (14-9), with tip-off at 7 p.m. Tickets are available here. 5) Alvin Gentry’s weekly radio show on WRNO 99.5 FM airs at 6:30 tonight. Fox Sports New Orleans and the Pelicans Radio Network will have pregame coverage for Friday’s game at 6:30, as well as Sunday’s matchup in Detroit starting at 2 p.m. Fox Sports NOLA is broadcasting each of the next six New Orleans games, prior to a Dec. 21 visit to the Lakers that ESPN will have exclusively.